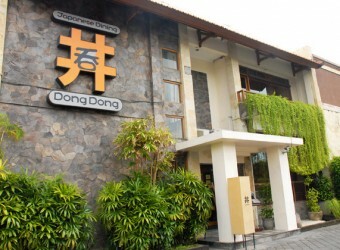 Bali Restaurant Dong Dong is the Japanese restaurant in Raya Kuta Street. The name of the store means "drink + dish" and they wish and offer enjoyable eating time for all guests. There are fresh seafood, wide range of Japanese food. Japanese owner has strong passion to create great restaurant and he is really open for all requests from guests such as making Birthday Sushi Cake, etc.